DOUGLASVILLE, Ga. - Sept. 2, 2016 - PRLog -- The Pink Locket, in association with The Artisan Group, will display its Modern Minimalist Copper jewelry collection, at an invitation-only luxury celebrity gift lounge hosted by GBK Productions in honor of the Primetime Emmys nominees and presenters on September 16-17, at an exclusive location in Beverly Hills, California. Founder and Designer, Kamilah Campbell of The Pink Locket, thrives on creating jewelry that help women feel great about themselves. The Modern Minimalist Collection collection will be prominently showcased and includes jewelry pieces with unique names like the Rough It Cuff, Xahria Necklace and Oh Shelia and Elle Cuffs. Each jewelry piece from the collection is name after a woman or expressive phrase that captures a woman's fashion statement. The Rough It Cuff was especially designed for the woman who's a rebel and wants to make a statement, with its copper and dark patina color. The Xahria Necklace, which means flower, is more feminine and minimalist with an "all eyes on me appeal" when worn. Oh Sheila and Elle Cuffs were created with simplicity and edge in mind that you can't help, but to layer them together or with other jewelry pieces. "I'm so excited to have my jewelry displayed at such a major event, this copper collection is one of my favorites so it makes this opportunity that much more exciting," says Kamilah Campbell. Even a piece from her budding Men's collection, Geometric Cuff Links, will also be on display at The Artisan Group's exhibit. Geometric Cuff Links have a mesmerizing look to them with its accentuated copper swirl against stainless steel look. Hailing from Jamaica and raised here in the U.S., Kamilah attributes her culture with the name of her Steel Pan Earrings, which all attending celebrities, press, media and other VIPs will receive in their swag bags. As a self-taught jewelry designer who started The Pink Locket after relocating to Douglasville 9 years ago from Stamford, CT, equipped with a BA in International Trade and MBA in Media Studies, she's an entrepreneur who describes her jewelry as Modern Minimalist style, pulling inspiration from art, shapes, city landscapes and even customers themselves. Each jewelry piece that is designed has the goal of "allowing women to exude their inner beauty and confidence." All of The Pink Locket's jewelry collections can be found on their e-commerce site www.thepinklocket.com, along with style tips and jewelry care tips on their blog. The Pink Locket was established in 2008 and is based out of Douglasville, Georgia. All designs are created by hand. The modern minimalist jewelry designs are created from metals such as brass, copper, sterling silver, gold-filled and titanium. For more information about and to view other media and press outlets that have featured The Pink Locket and its jewelry please visit www.thepinklocket.com or view their About (https://youtu.be/9BYdl5Zo6nk) video. Kamilah Campbell is a member of the exclusive organization, The Artisan Group. 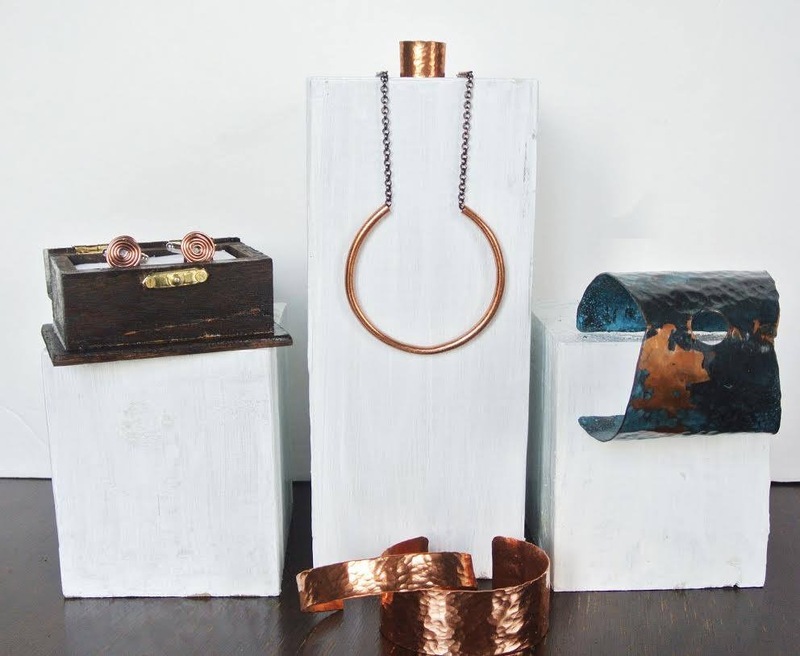 See video on Modern Copper Minimalist collection http://bit.ly/thepinklocketvideo . The Artisan Group also coordinates product placement of its member's handcrafted products on such hit television shows as Scandal, The Voice, The Vampire Diaries, Days of Our Lives, The Young & The Restless, Modern Family, Jane The Virgin and Law & Order: SVU, among others. Membership in The Artisan Group is juried and by invitation only. * Neither The Pink Locket nor The Artisan Group are officially affiliated with The Academy of Television Arts & Sciences (The Emmys or The Primetime Emmys).